Step 1. Set up a Landgate billing account for your business. Step 2. Use self-service to provide your nominated employees with access to MyLandgate. The MyLandgate Contact form details of your organisation's principals or directors and its nominated monthly credit limit. This information is used by Landgate to set up a Landgate billing account. Account billing contact: this is the only person in your organisation Landgate staff will contact about a financial account enquiry. Your User Representatives must have their own individual Landgate Login or they will not have access to the MyLandgate functionality they need to manage your users. Once set up, your User Representatives will be able to use their Landgate Login to access the additional account management menu options within MyLandgate. Users who are new to Landgate online applications will need to select Create your login to register for a Landgate Login. Detailed instructions are available in the Register for a Landgate Login user guide. In person: Landgate front counter marked 'Attention: Customer Service'. Landgate will process the forms, establish your billing account and set up your User Representatives’ access in MyLandgate. Please allow up to 12 working days for your account application to be processed. we will conduct a credit check to verify information provided in your MyLandgate Contact form. you will then receive a letter to confirm your account number, monthly credit limit and Landgate contact details for future reference. a unique customer account number will be created for your organisation. you will then receive an email to confirm your account number and monthly credit limit. 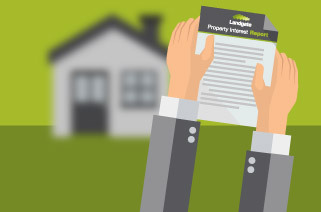 Only registered Landgate Logins can be assigned to your account, so your User Representatives will need to use their email address to register before we can connect them. Once your billing account has been established and your User Representatives are set up in MyLandgate, additional Users can request to join your billing account once they have registered for a Landgate Login. Detailed instructions can be found at the bottom of this page. It is an organisation’s responsibility to ensure that each person has their own individual Landgate Login. Logins and passwords must not be shared. Users who are new to Landgate online applications will need to select Create your Login to register for a Landgate Login. Detailed instructions are provided in our Register for a Landgate Login user guide. New users will need to know your unique customer account number to request access to MyLandgate. Your organisation may like to consider creating a standard email to provide new users with the information they require including your account number and links to the help guides. New users use the online workflow to request access to join a billing account. From the Login page enter your Landgate Login (email address) and password. The ‘My Profile’ page will be displayed. Type in the account number that your User Representative has provided you and press enter. The application will search and return an account number that matches, to select the result, click on the icon to the left of the account number and select review and then submit (bottom of page). The request will be sent to the User Representative. You will receive an email to confirm your request. Instructions are provided in our Join a billing account quick guide. User representatives are notified of new access requests by an email as well as an alert within MyLandgate. Where an organisation has more than one User Representative for its billing account, all User Representatives will receive this alert. The email has the contact details of the person submitting the request, allowing User Representatives to ensure they are approving the correct people for account access. Detailed instructions are provided in our User representatives guide: How to Manage Requests for New Users. User representatives can access the approval workflows from links in the email or MyLandgate notification. User Representatives should review the request details and either approve or decline the request. When denying the request, it is good practice to include a comment to provide the requestor with some guidance. are aware of the charges and fees that apply for using those services. there is an additional Landgate approval step. Detailed instructions are provided in our User Representatives Guide – How to Manage Requests for New Users. User Representatives have access to additional account management menu options within MyLandgate to update or remove user access. When people leave your organisation you will be able to immediately remove their access to the MyLandgate services associated with your billing accounts. Find answers to your most common enquiries about registering for MyLandgate. What MyLandgate channels can I subscribe to? How long will it take before I can access MyLandgate services? Please allow up to 12 working days for your initial account application to be processed. Once your billing account has been established and your User Representatives are set up in MyLandgate, additional user access requests can be processed in real time by an online workflow. What does it cost to subscribe to MyLandgate? Charges are accumulated on the account for products and services used and are payable monthly. There is no fee to open an account. For a complete list of fees and charges please refer to MyLandgate Fees and charges. What is a Landgate Login? Landgate has introduced the Landgate Login – a single set of login credentials which provide access to all Landgate online applications. As each online application is upgraded, you will be able to use your new Landgate Login to access it. Landgate’s eforms (eg National Mortgage Form) and plan lodgement in the New Land Registry (NLR-Plan) already use the Landgate Login. If you have registered to use these, then you already have a Landgate Login. You can use that same login to request access to MyLandgate. For users who are new to Landgate online applications, select Create your login to register for a Landgate Login. Fill in your details including a personalised email address (eg your.name@your.business) NOT a group or generic email address (eg. sales@your.business). Once you submit the form, the system will send an activation email to the address you provide. More information on the Landgate Login is available on the Access to Landgate’s online applications page on our website. To assist you with the new self-service functionality, Landgate has created some support guides for both the User Representatives and the people they manage. The guides are available on the Landgate website. You can also contact Landgate’s Customer Service team on +61 (0)8 9273 7373, if you require further support as you become familiar with the new self-service features.